I step out on to the streets on a balmy summer morning with the daily newspaper tucked under my arms headed to the neighborhood coffee shop. The smell of fresh roasted organic java of some variety is evident in the air inside. The coffee shop is typical of most independent neighborhood cafes with relaxing couches, tables, and the roster of indie acts posted throughout the walls. I grab my coffee to go and start walking towards the place of work. It is only a few blocks from the coffee shop. The roads are clean, there are dedicated bike lanes throughout, and vehicular traffic is sparse at this time of the day. Along the way I pass the new uber-cool restaurant/pub with its ornate patio (and a secret garden), which is near the ultra-cool redesigned hotel (a place to be seen with those worth being seen with), and a modern park made of reconfigured/recycled metallic parts. I arrive at the work place, which happens to be within a former municipal building (City Hall) and check in at the front lobby, which, by the way, is a thesis project in itself on lobby chic-ness (one of the installations happens to be donated by the Blue Man Group). I am dressed in jeans, T-shirt and loafers (no socks of course) and I fit right in with the crowd. This urban setting could be from Silicon Valley, Silicon Alley, or for that matter in a Canadian context, King Street in Toronto, Rue Saint Andre in Montreal, Inglewood Calgary, or Gas Town Vancouver. What you may be surprised to learn is that the place I describe above is downtown Las Vegas, the coffee shop is The Beat Coffeehouse and Records, the restaurant (with a “secret” garden) is called Park on Fremont, the swanky hotel is The Grand and the office building is the spanking new headquarters of the famous internet shoe retailer – Zappos, which was bought by Amazon not too long back. 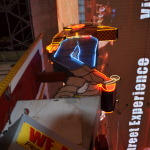 Las Vegas, or rather a certain segment of this large city, otherwise known as The Strip, is automatically associated with its infamous casinos, themed resorts, Cirque Du Soleil and other world-class entertainment acts. However, for the past several years (actually over a decade) there has been a trans-formative experience happening within its not so well-known Downtown area. 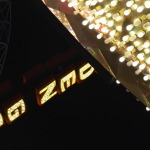 On May 15, 1905, a railroad land auction created the Las Vegas Township, and launched the development of a dynamic city whose legend would be brought to life through a commitment to pioneering and entrepreneurship. 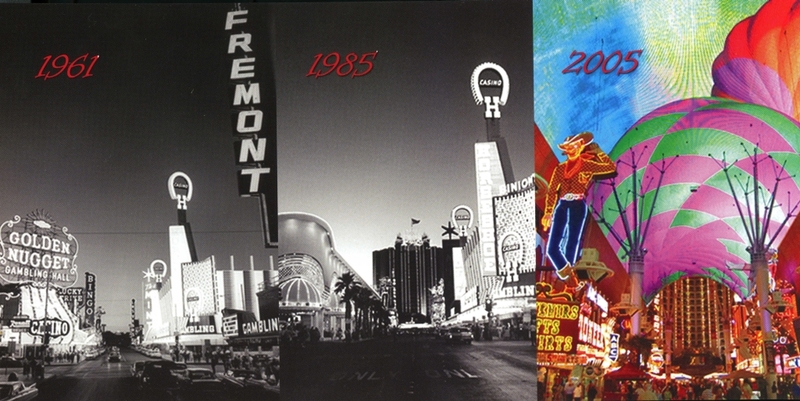 Located in Las Vegas’ historic downtown area, the birthplace of Las Vegas, Fremont Street has been the site of numerous “firsts” for the city. 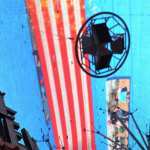 However, the plethora of themed casinos and world-famous entertainment acts on the Strip meant visitors had little reason to venture beyond. Other factors such as dramatic increase in land prices on the Strip and the growth of suburbia led to a stagnation of the Downtown sector. Soon after it became an area where you did not hang around for long unless you were looking for trouble. It has been so trans-formative that it is now THE place to hang with the cool kids of Vegas and a place where you go to seek fun and adventure for both singles and families. 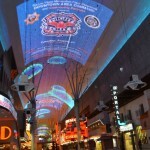 The highlight of the downtown experience is at Fremont Street. 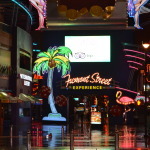 The redevelopment of Fremont Street began in the 1990’s with the opening of the Fremont Street Experience in 1995 that converted three blocks of the road into a pedestrian-only plaza and offers visitors a spectacular light and sound show under a $70 million canopy. This entire area is closed to vehicular traffic and becomes an outdoor nightclub. The attraction is now also home to Slotzilla zip line that is 77 feet high and 850 feet long. 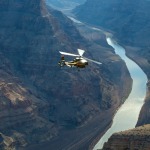 Imagine zooming over a street party at speeds faster than 35 miles per hour. The Downtown Project is a private/public collaboration to revitalize the downtown through real estate development and venture capital investment in start-ups (mostly local businesses). 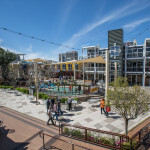 The keynote feature of the project is the Downtown Container Park (details in this blog post). Other notable developments that will surprise and amaze you about downtown include Symphony Park, The Smith Center For The Performing Arts (a modern twist on the retro art-deco style of architecture), Cleveland Clinic Lou Ruvo Center for Brain Health (you have to see it to believe it), the Neon Museum and Boneyard (collection of discarded neon signs from the famous Strip casinos) and the enigmatic arts district. What is most intriguing about this downtown is the inconspicuous nature of the conspicuous displays. A conundrum of sorts that requires one to explore and seek out. 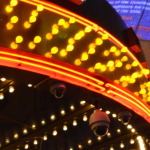 Unlike the buildings on the Strip that scream for attention, the various attractions are not visible or obvious to the passerby. This may be intentional urban planning but it also has a lot to do with the size of this city. Canadian urban centers are dense. 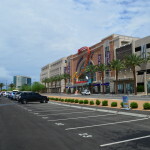 Downtown Las Vegas is expansive. It is after all desert land. It is not that the downtown is lacking in visitor traffic. Most recent published stats indicate that visitors to downtown totaled about 18 million. Take a moment to realize that in context of Canada. That volume of traffic is equivalent to more than half of Canada’s population passing through a given year. 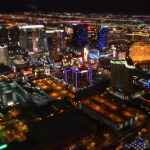 However, it still pales in comparison as a proportion of total visitors to Las Vegas recorded at 39.6 million for 2013 (equates to less than 50% of overall traffic to downtown). 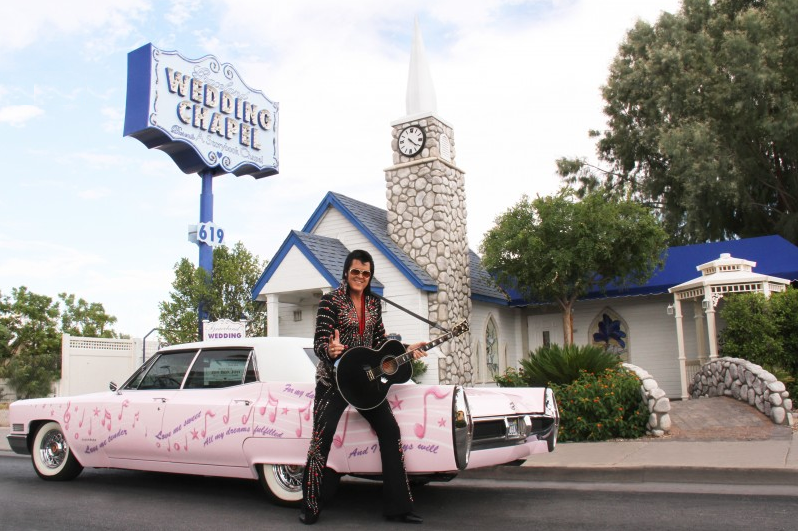 Obviously a lot of folks are missing out on something exciting happening north of the Strip. Downtown is not trying to directly compete with the Strip for traffic. While any additional traffic to this area benefits local businesses, the model for downtown is focused on densifying this area by bringing in more residents who intend to call this area home. Downtown is not trying to be the Abu Dhabi to its Dubai. The casino/hotels in downtown district have undergone extensive renovations both inside and outside that competes with any major hotel chain while also maintaining its distinctive character from the golden age of casino-land. I meet up with Hilary Billings at The Beat coffee house. Hilary is a Las Vegas local and former travel blogger turned local blogger (thenomadgrad.com) and guest writer for USA Today. She was named Las Vegas Weekly‘s Best Blogger for 2013. Hilary has the low-down on things cool and happening in and around Vegas (and no she will not get you a VIP access pass to cut the line to The Cake Boss’ store). Hilary tells me that the new downtown initiative has been an incredible initiative. However the process of urban densification appears to be at its very early stages. Alexa is a recent University graduate who moved from California to Vegas to work for a local PR agency. I ask her why she chose Vegas to begin her career in PR instead of New York, Chicago, or San Francisco. 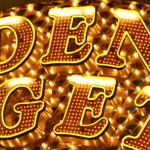 She says she chose Vegas because it’s a great place to get a career start in the lifestyle and entertainment industry. Plus, the cost of living is reasonable for someone who is just starting out, so it’s a lot easier to save money. Tara and Michelle, who work with Alexa, are locals who also chose to either return back or stay put in Vegas for the aforementioned reasons. 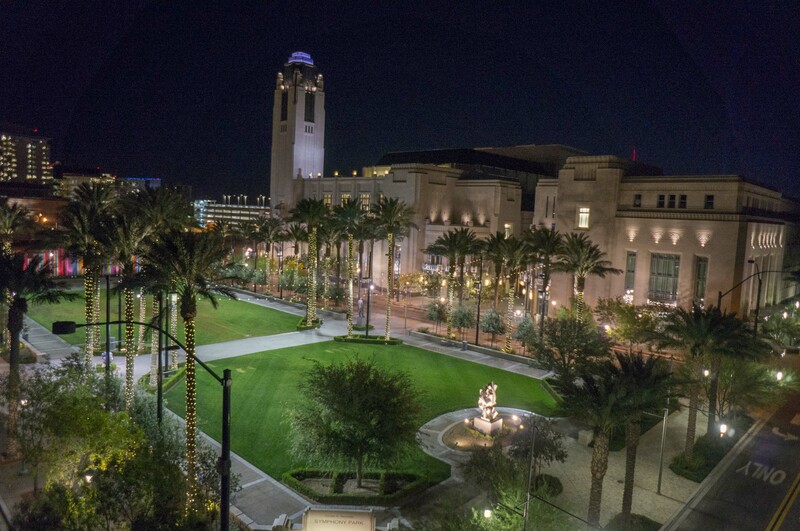 However, when all are asked whether they live downtown, the answer is no. Most live closer to the strip area or in the suburbs. 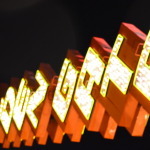 However it is clear after talking to all that downtown is “definitely more of a locals spot for people who appreciate a different type of bar scene rather than the touristy nature of the strip“. Later that evening, as I am waiting to catch the local downtown-strip transit bus (The Deuce), I accidentally board the wrong bus. I did not know that. The guy in the wife-beater shirt and a brown bag in hand who is getting off knew that and told me so. He directs me to the intersection up ahead where I can catch the bus to downtown. Now a general rule of thumb when traveling in foreign lands is to not take advice on directions from the guy-in-the-wife-beater-shirt-with-a-brown-bag-in-hand. Having run out of options, I eventually head to the intersection and get on the right bus (after taking all precautionary measures for my well-being). Mr. GITWBSWABBIH is waiting there with several other passengers and he gives me that “I told you so” nod. 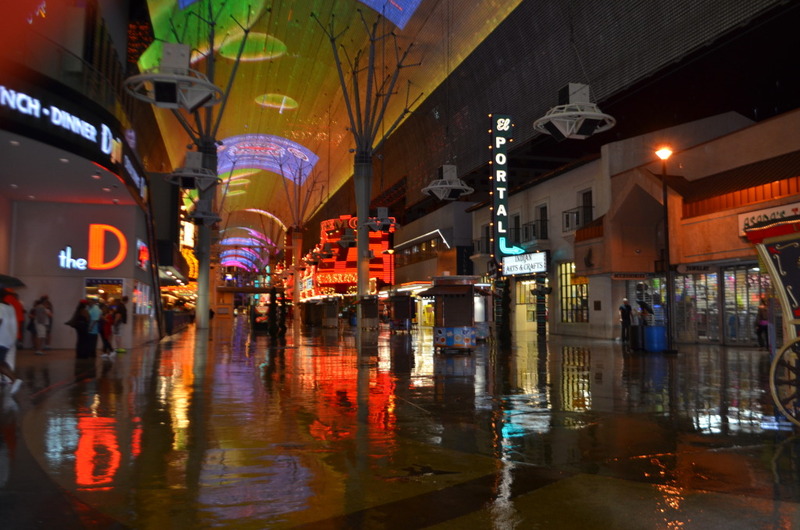 The revitalization of downtown Las Vegas is now a study on urban planning that is being modeled and packaged as a case study that can be adopted in other cities (a city in New Mexico is modeling their downtown revitalization plans after Vegas’). However, it did not happen overnight. It took massive collaboration between public and private entities and a lot of time to get to where it is now. It also helps to have money to aid in revitalization efforts. A lot of it. And Las Vegas is not hurting on that end. 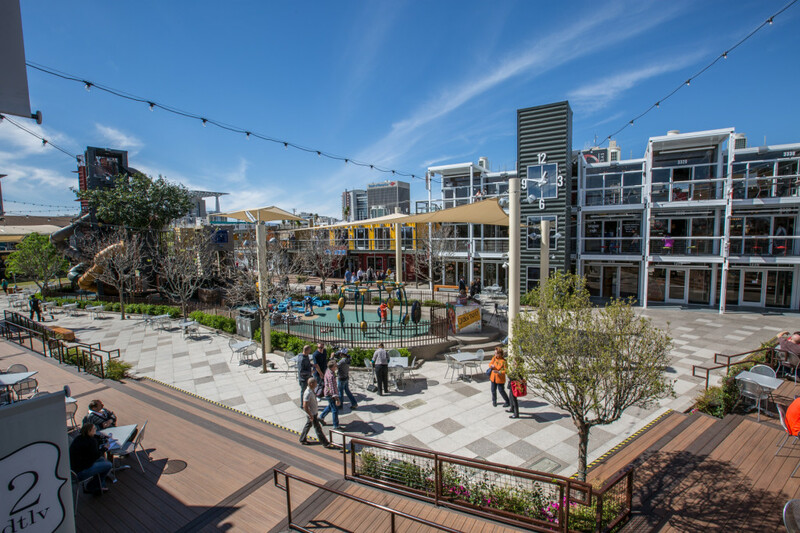 Downtown Project, the public/private collaborative effort, is the brainchild of Tony Hsieh, the founder of Zappos and its Chief Monkey (just look that one up). His principle behind downtown revitalization is based not on the traditional sense of densification but rather on the concept of “collisions” (again just look that one up here). Canada’s major urban centers have undertaken several revitalization efforts for various sections of respective downtowns. Where our model differs from downtown Las Vegas’ is that our cities focus on residential intensification with the commercial components to follow later. 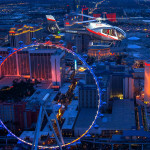 The Las Vegas model is almost its reverse – develop the commercial side and residents will follow. Canadian cities also benefit from greater concentration of people per square mile than Las Vegas does. This is the reason why the Canadian model of revitalization works well up here. However, it would be interesting to see if the Las Vegas model can be imported north of the border. In the end, a successful model of downtown revitalization requires residential densification no matter how well the commercial component is developed. So perhaps in the long run, just having “collisions’ of passerby’s may not be sustainable (or it may be) for a revitalization to reach its fruition. However, one thing is certain. It is the Hilarys, Alexas, Michelles and Taras of a city (and yes, Mr. GITWBSWABBIH too) that play the pivotal role in securing the destiny of a downtown. In regards to that, Canada, you are doing just fine ! Now that’s a feat that even the king would approve! 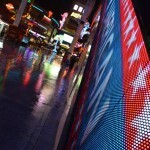 Acknowledgements: The Downtown District media tour was arranged by members of the Las Vegas Convention and Visitors Association. All comments and opinion are my own.